Item # 319139 Stash Points: 9,995 (?) This is the number of points you get in The Zumiez Stash for purchasing this item. Stash points are redeemable for exclusive rewards only available to Zumiez Stash members. To redeem your points check out the rewards catalog on thestash.zumiez.com. 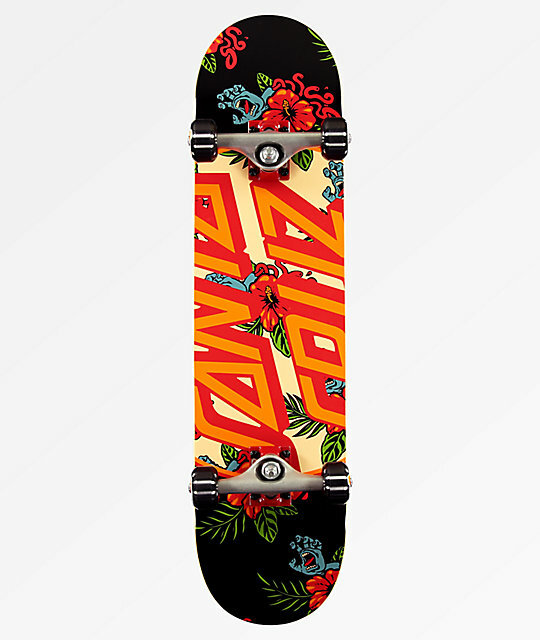 Get an ideal set up to start your skateboarding career with the Santa Cruz Vacation Dot 7.75" Skateboard Complete. Over-all constructed in a mild concave shape, this set up offers a stable feel under foot and makes for an excellent learning surface. Abec 5 bearings carry speed from feature to feature with ease while the 52mm wheels pick up speed quickly, perfect for tight spaces and plaza sections. 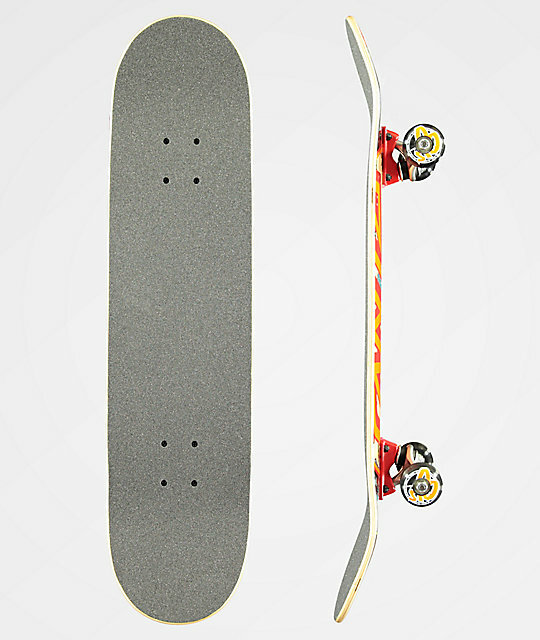 Finished off with Bullet brand trucks for stability on stalls and at higher speeds, this set up is a perfect place to start your skateboarding obsession. Vacation Dot 7.75" Skateboard Complete from Santa Cruz.